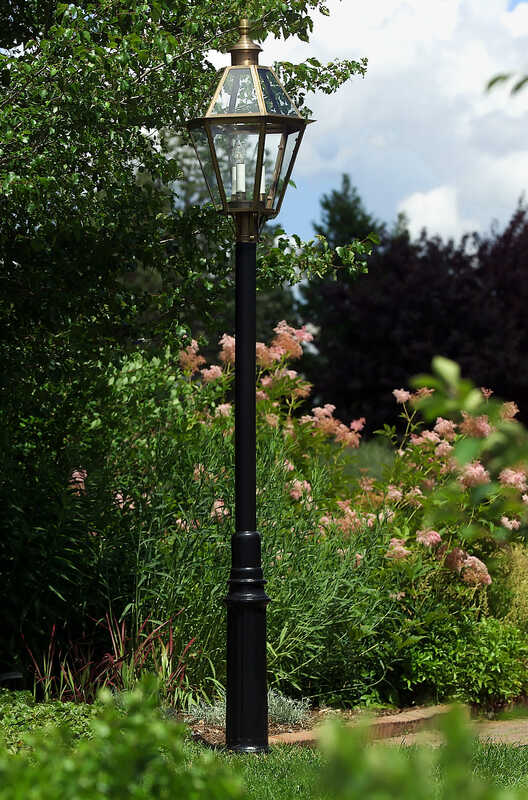 Hammerworks “Essex” Model Aluminum Lantern Post is a simple yet classic pole. Most importantly the combination of our New England Style Colonial Post Lantern Large Coach P105 with these Colonial Style Light Poles produces a unified result complementing any lighting project. Most of all this ruggedly constructed heavy wall reproduction cast aluminum light post is easy to install. In addition with a 3″ post top fitter it meets all industry standards. Thus you will install your Colonial Style Post Light Small Coach P105A with ease. 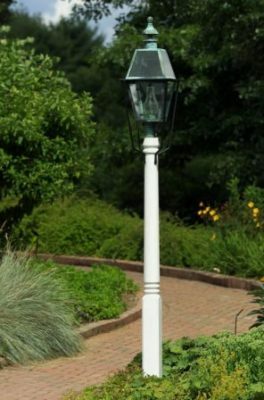 Furthermore from a single driveway lantern to an urban street lighting project the Cast Aluminum Lantern Poles Colonial Model is also a popular choice for architects and homeowners alike. Especially relevant the inherent characteristics of aluminum make it an ideal product with which to create Colonial Style Light Poles. One of the most important advantages is its malleability. Because it is a softer metal, it is easier to manipulate. Therefore a variety of styles, designs and patterns are created with aluminum. Most noteworthy, while it is a softer metal, aluminum by nature it combines both strength and lighter weight. In addition it is resistant to rust. Consequently all of these characteristics combine to make for a durable yet light weight and long lasting lantern post. Whether you choose a stately Colonial Boston Post Lantern P103 or Cape Cod Copper Post Lanterns Pyramid PP119 to top your Aluminum Lantern Post you will not be disappointed. 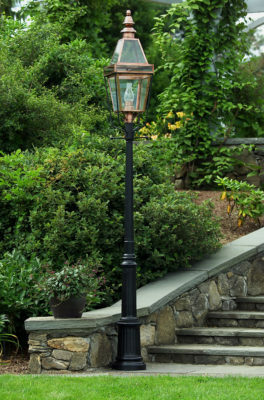 First of all our wide variety of Colonial Post Lanterns will complement any Aluminum Lantern Post. 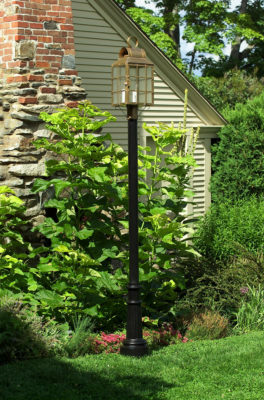 If you prefer a traditional style then Colonial Style Post Lanterns P111 is a great choice. 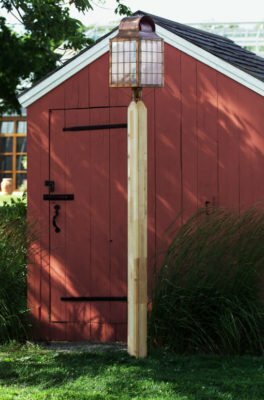 Or perhaps your taste leans towards the more rustic look of the Cape Cod Style Post Lantern Garrison P110. Regardless of your design preferences, at Hammerworks you will always find the right choice!